There are 3 reviews of Panthea. Panthea makes an outlandish claim of painting a picture of heaven / bliss. I had to approach it - as I have learned to do with other outings from Stéphane Humbert Lucas 777 - with an unbiased, open mind. What Panthea represents to ME (being an impressionistic scent) is a fresh citrus-floral fragrance, rife with pleasant musk, iris, violet, jasmine, and tangy citrus fruits. It certainly has an uplifting aromatic character that is lush with powdery goodness. Overall, it feels delicate, given a nice dose of tobacco leaf and patchouli to finish it off in a really beautiful way. Moderate sillage and good longevity. I like Panthea and appreciate that it's also not overpriced (relative to other SHL outings). I ordered a sample of this from Luckyscent after reading their description of it and thinking this might be a lovely iris for cooler weather. Imagine my surprise when I sampled it and found it to smell like a lovely spring green floral, reminding me immediately in fact of Parfums de Nicolai Temps d'Une Fete. Don't ask me how Panthea smells similar to a green floral like Temps d'Une Fete since the list of notes is completely different. I have sampled them together however and the similarity is definitely there, at least for me. Panthea is slightly more plush with a hint of powder, yet still very fresh, and airy enough to wear in warmer weather. It is definitely iris-dominant. Temps d'Une Fete smelled sharper on my skin. Another basenoter had a similar experience with Mortal Skin, where the fragrance smelled nothing like the note pyramid. 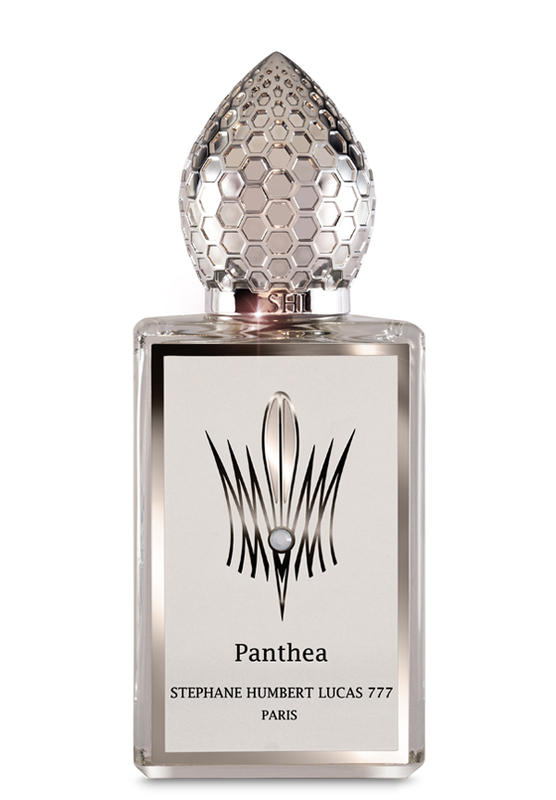 Panthea is definitely a well-made fragrance, beautiful in fact, and Stephen Humbert Lucas clearly has some skill, but I don't know how he achieved the smell he achieved here with the ingredients that are listed. He might be the master of abstraction. There are no member images of Panthea yet. Why not be the first? NEW: Stephane Humbert Lucas 777 - Panthea!